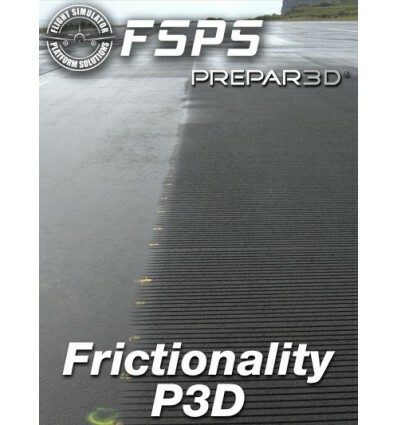 Runway friction in P3D was always a subject of discussion in the developers and advanced users community. The problem in a few words is that P3D friction is unrealistic. In some cases aircraft would taxi on idle thrust while the real aircraft was not behaving like this (or vice-versa) at the exact same conditions. (Runway condition, thrust, weight), aircraft is accelerating faster in wet / snow covered runways and more. At the start many thought that the aircraft physics model was not made correctly: For example that the thrust was misconfigured or that the weight distribution played a role. 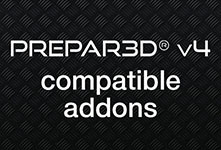 Actually all problems (most times) are due to the way P3D is handling friction. You can easily test out yourself a part of the problematic default FSX settings by accelerating with a specific aircraft to a specific ground speed down the runway. You will notice that you will need (just for example) 10 seconds to reach 50KTS GS on model “X”. By changing the weather setting to have a wet runway you will see that you will need LESS time (i.e. 9.7 seconds) to reach the same speed. Is that possible? Thinking lightly , someone would say yes. The friction of the same surface when on dry compared to wet is higher, so the opposing force would also be higher, so the distance on the same thrust and weight – thus the time – to reach the same speed would also be higher. But is that true? No. In real life there is also the resistance from the mass of water that the wheels travel on and cut through, so a 'virtual weight' or an opposing force, is added to the formula... That – in real life – causes the aircraft to need more distance and additional time to reach the same speed when on wet! Some people in the past tried to fixed the problem by replacing the Sim1.dll (the Microsoft file that contains all friction values). Although a pioneer approach to solve the problem, the quality of the results would vary from user to user as some smaller aircraft behaved differently from bigger ones. So the 'patch' would work nice for some but not so nice for others who use different aircraft. 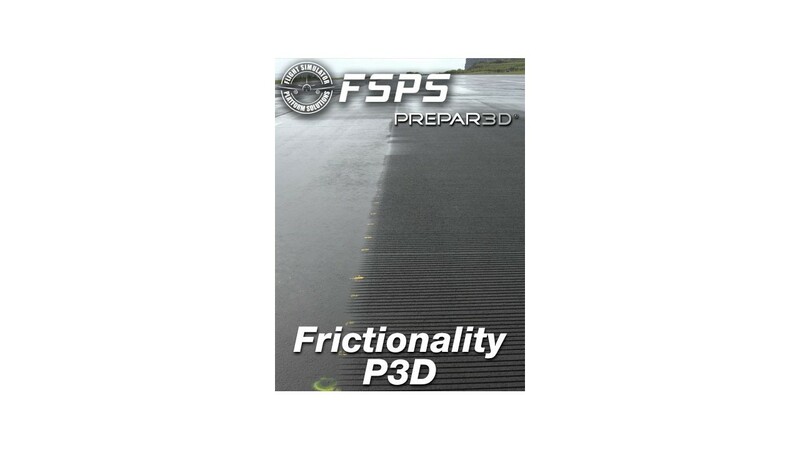 FSPS decided to resolve once and for ever the “P3D friction” problem. By directly communicating with P3D (no need for any external software like FSUIPC) we managed to manipulate the friction for each surface and condition (dry, wet, snow) you could encounter. 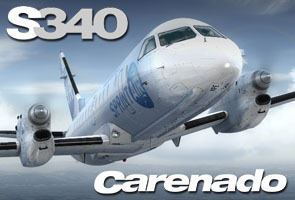 We managed to be able to manipulate it in real-time, without need of a 'patch' or changing any FSX file. We placed all our knowledge into an application 'armed' with profile saving so you would save each friction for each of your aircraft. Real time rolling friction manipulation for all types of FSX runways for all wheel configuration aircraft. 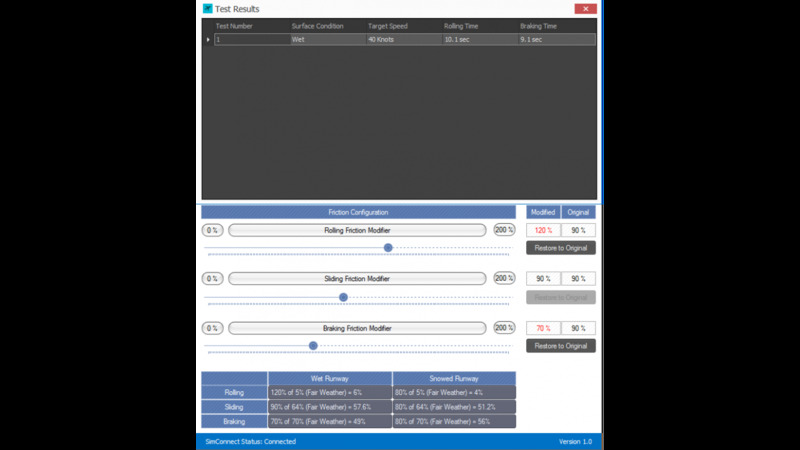 Real time friction manipulation for sliding and braking friction. Real time friction modifiers manipulation for Wet and Snow contaminated runways. 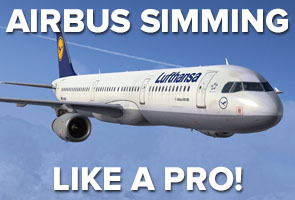 No additional software necessary to send friction into FSX. Profile saving capability that enables you to save different friction sets for any aircraft of your fleet. Popular Aircraft profiles are provided build-in for ease of starting up. 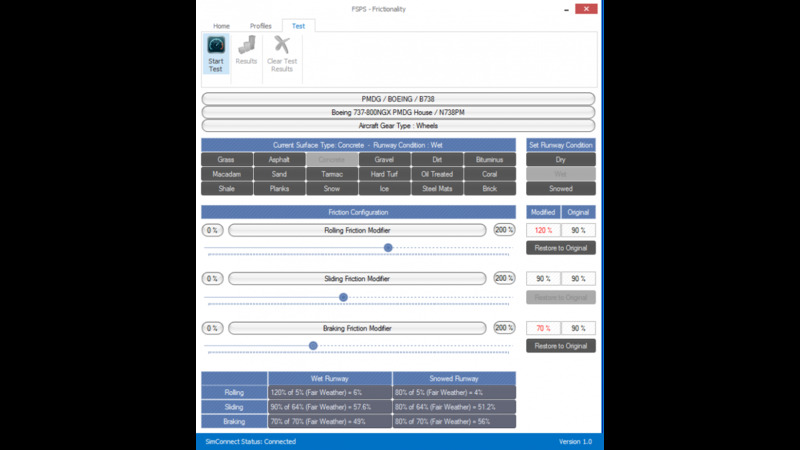 Ability to load profile from another aircraft. If they are similar models there is no need to set all the way the second aircraft. 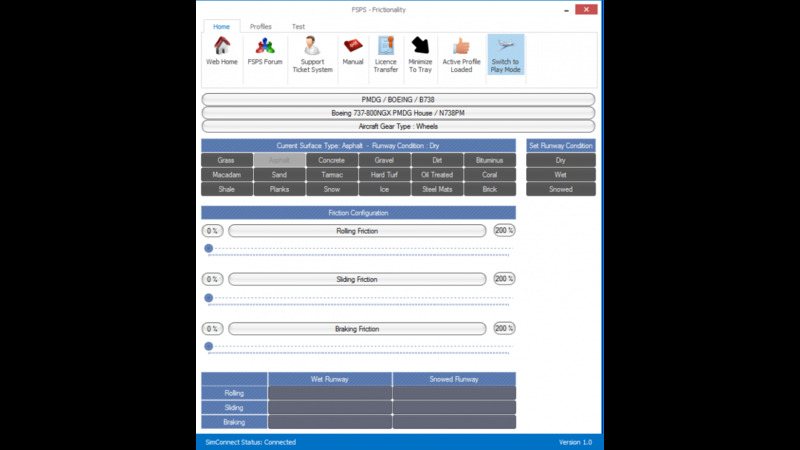 Ability to load profile from external sources. If you find a profile shared in the internet or a friend has one ready, loading it is a matter of just some clicks. 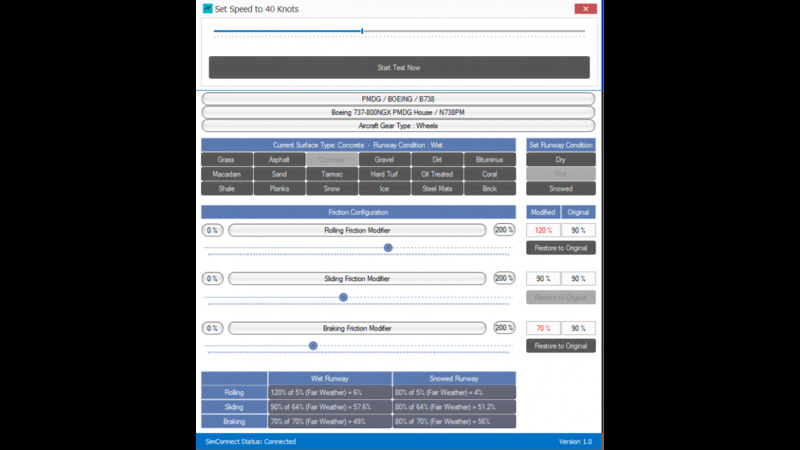 Test mode to check how the changes you are doing reflects to the aircraft's usage. Results stored in Test mode table for reference during tests. 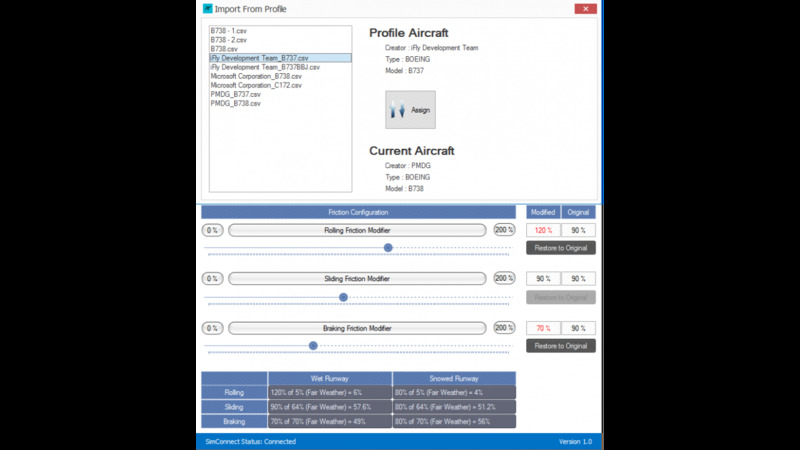 Auto profile loading when selecting a 'ready' & saved aircraft. Significantly light application using latest programming technologies resulting in zero FSX frames reduction. Supporting both original and 'patched' Sim1.dll files. 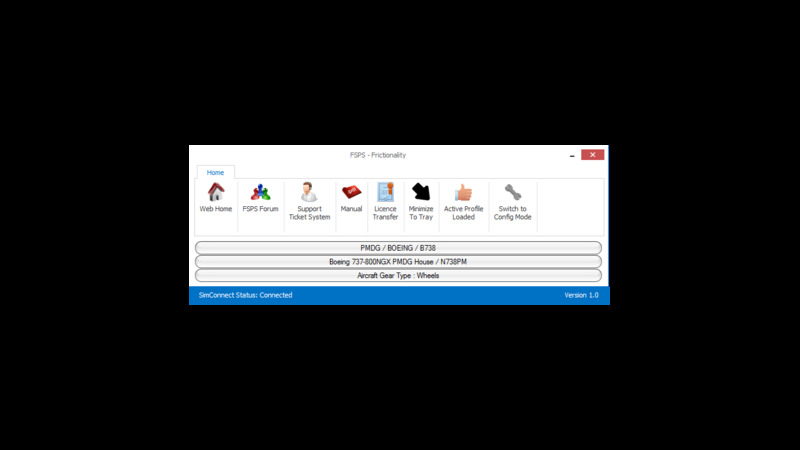 License transfer capability without need to contact Support in order to use software on as many PCs you want (only one will work at a time however). Frictionality is compatible with default or 'patched' Microsoft's Sim1.dll files.